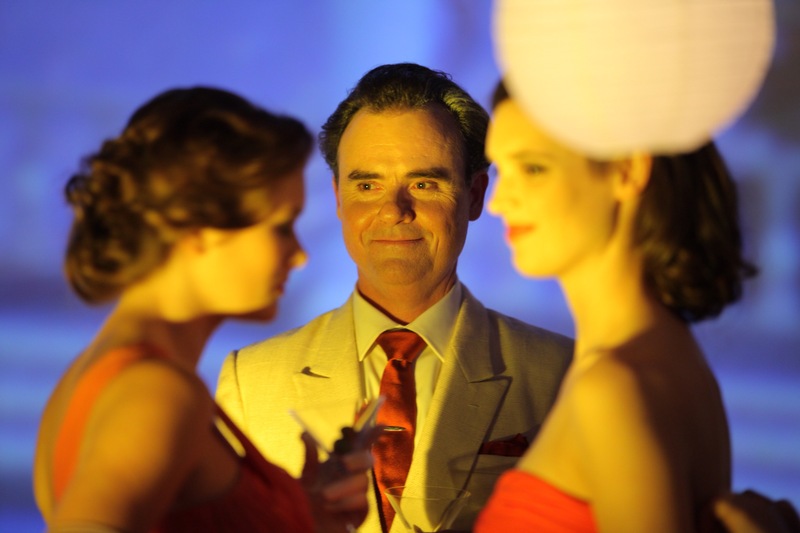 Women He’s Undressed, the Orry Kelly documentary launched at Sydney Film Festival! 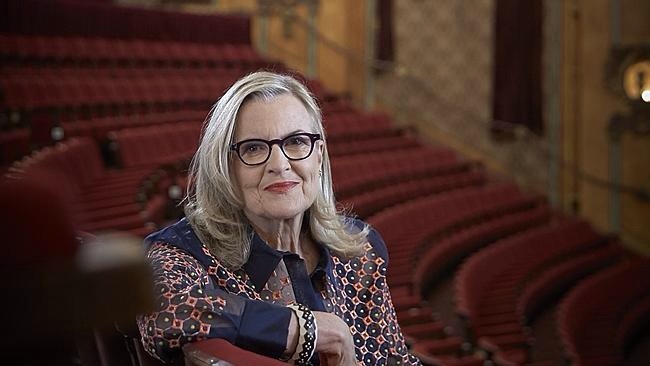 who has previously won acclaim for her documentary Unfolding Florence and the 14 up series Love, Lust and Lies which follows the lives of three Adelaide girls every 14 years. Well known TV character actor Darren Glishenan plays Orry with the right mix of dry wit, fearlessness and malicious glee. Here is the trailer for Women He’s Undressed. 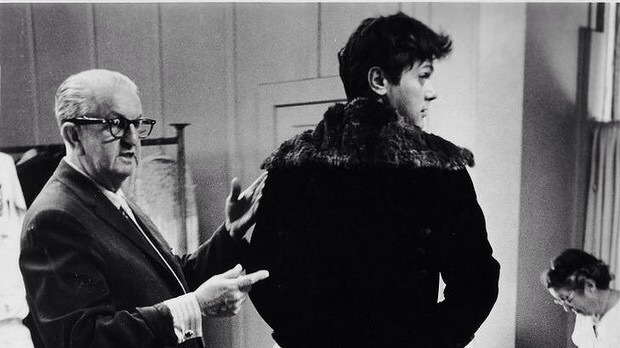 The film will receive a general cinematic release in the middle of July with the memoir of Orry Kelly ‘Women I’ve Undressed’ available to buy in mid August. 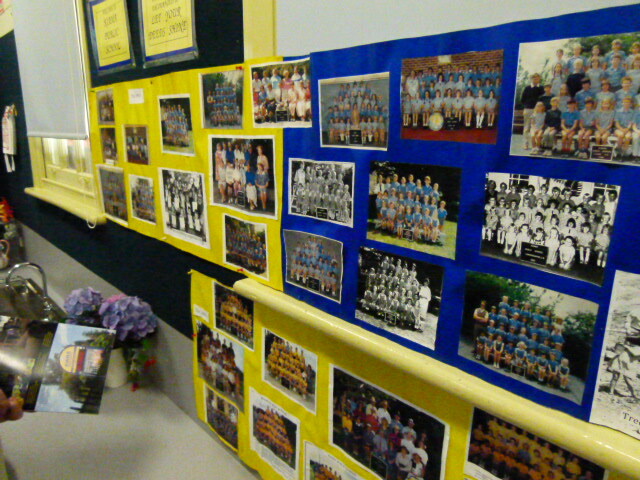 Kiama Public School celebrated its 150th Anniversary in style, on Saturday November 19, 2011 with a number of events, including a dinner for ex-students, publishing a history of the school in a new booklet, and an extensive display in the Bombo room (the old Bombo school that was transplanted onto the Kiama Public School site. 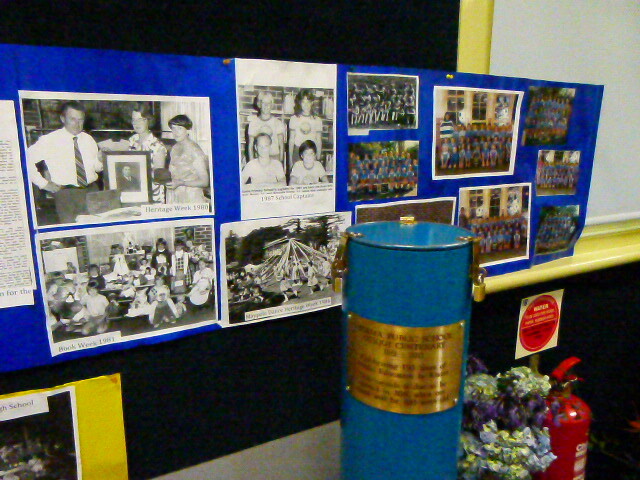 The school also filled and buried a brand new time capsule. 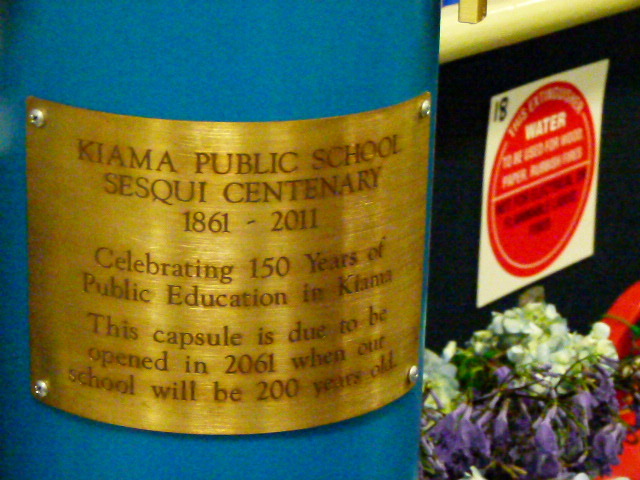 As mentioned in the 100th anniversary booklet (1961) the original time capsule from 1861 was never found, which is around the time the rare and valuable Kiama or Allen Pennies went out of circulation. 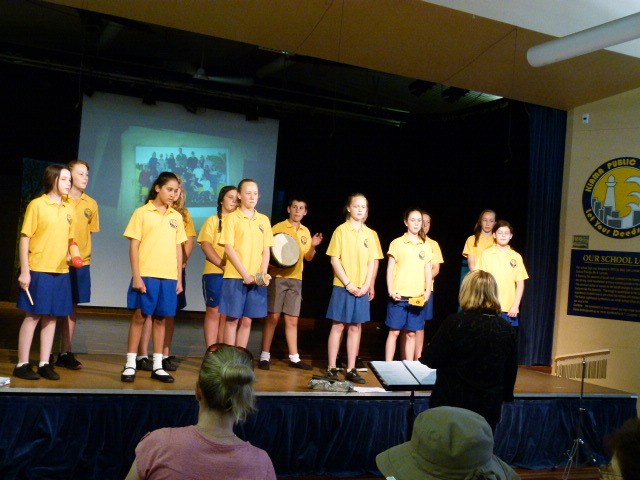 The Divas, the choir of Kiama Public school, also performed, ably conducted by principal Jenny Maude. 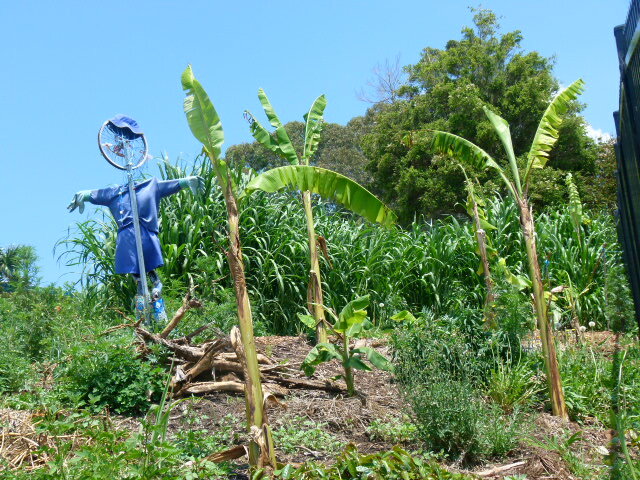 Even the school scarecrow was in full school uniform for the occasion! Pictures from the Chittick’s Alne Bank Open Day (there are TWO Alne Banks! 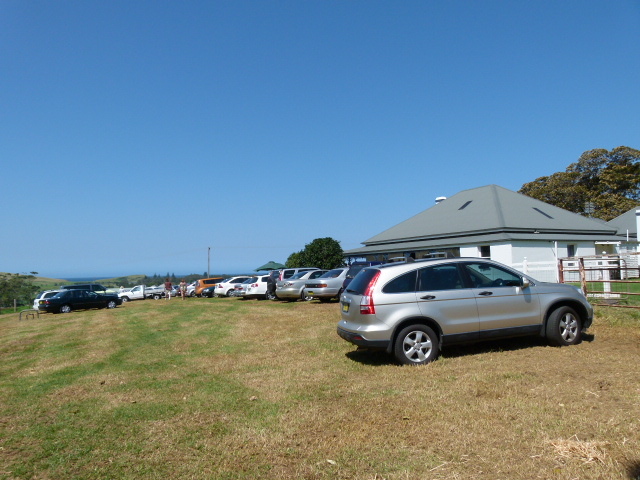 The Chittick farm at Rose Valley (south of Kiama and north of Gerringong) held an open day, on 21st March, 2011, which was very well attended. This is very rare, as this Alne Bank is only a short distance from the other more well known Hindmarsh home, also known as Alne Bank (which has had 10 Generation of Hindmarshes living there,from the very beginning of Kiama, and where currently Micheal Hindmarh livea). The Hindmarshes came from Alnwick in Northumberland. 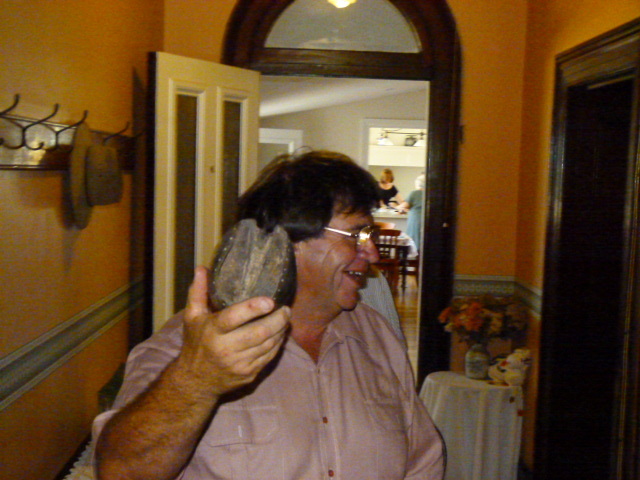 The Chitticks from County Fermanagh in Northern Ireland and bought the second Alne Bank froma Hindmarsh descendant. One wonders if in the early days have two Alne Banks so closes was there some sort of dispute in the family reflected in both trying to keep the name. Maybe they got along fine, and just liked the name! 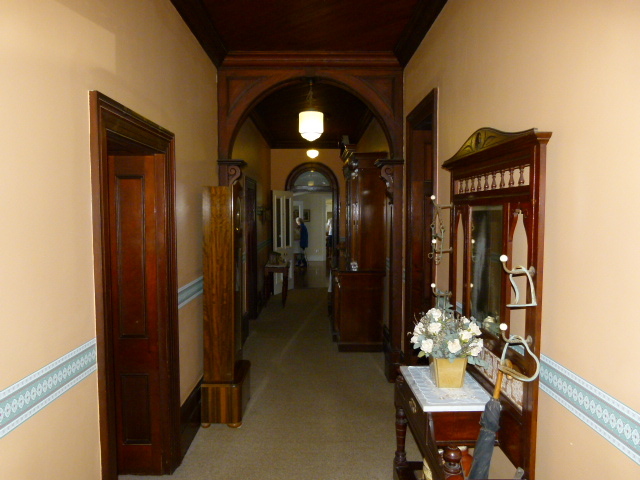 Here is the magnificent main hall, the houses is build with traditional Kiama blue metal (basalt) and local red cedar. A beautiful, solid house and home! 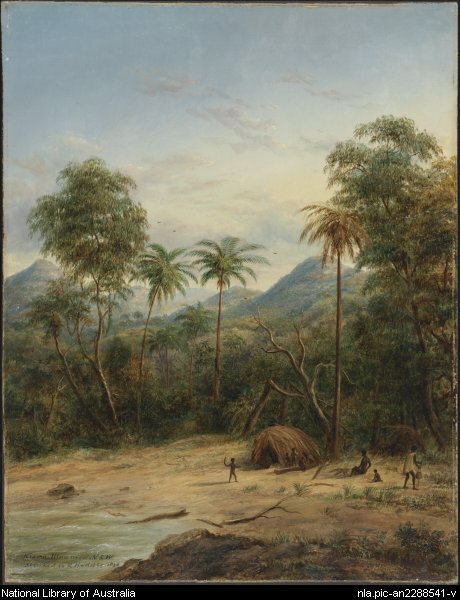 ( if I understood the story correctly)The Chitticks played, and play a prominent role in the Kiama Show, and the dairy industry, and have for several generations. 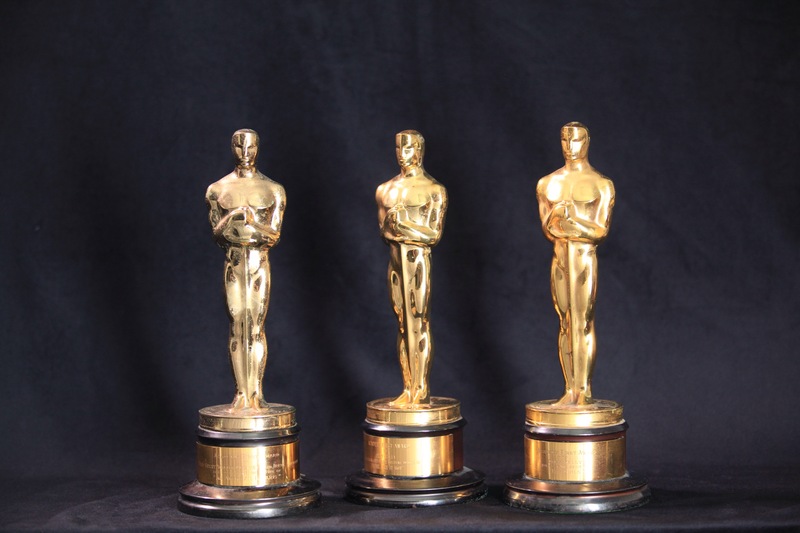 In 2010, there were 8 new posts, growing the total archive of this blog to 76 posts. There were 41 pictures uploaded, taking up a total of 26mb. That’s about 3 pictures per month. The busiest day of the year was June 14th with 101 views. 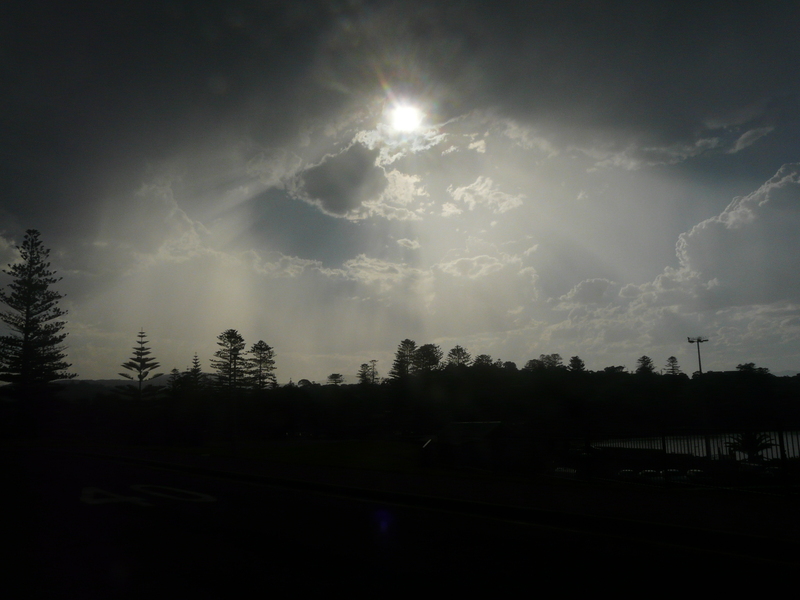 The most popular post that day was Kiama, Its Place, Plants and Animals. 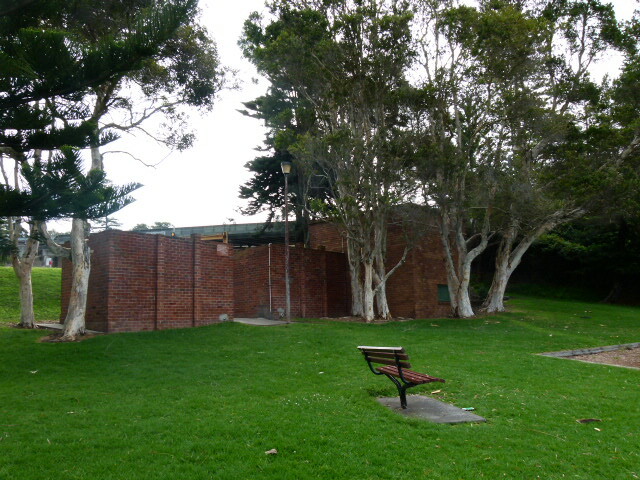 The top referring sites in 2010 were mariaozawa2u.blogspot.com, google.com.au, search.conduit.com, library.kiama.nsw.gov.au, and search.aol.com. Some visitors came searching, mostly for casablanca, sea eagle, cow, casablanca poster, and orry-kelly. 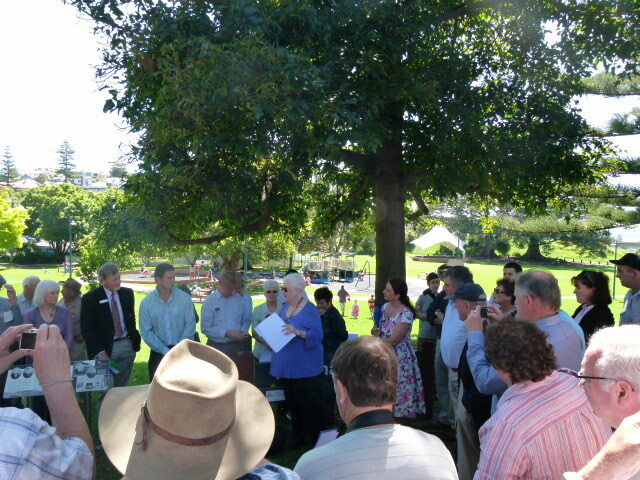 On Saturday 20th November, 2010, a new plaque commenorating the ‘Four Orphans’ was unveiled in Hindmarsh Park, Kiama, explaining the provenance of the name. 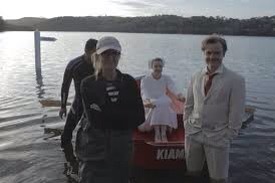 It celebrates the central role that the Hindmarsh family made in establishing Kiama, as well as the strong civic role that family had made in all facets of Kiama over the next four generations. 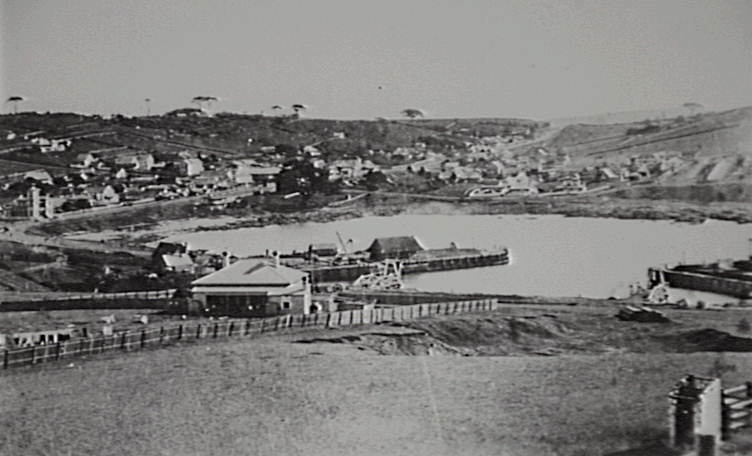 The Hindmarsh family got their land grant at Gerringong in 1822, and build Alne Bank in 1855 which has been lived in by 10 generations of Hindmarshes to this day. It is my understanding an earlier ‘Alne Bank’ cottage was built nearby and may still exist on the Chittick farm. If it does I will add a photo. Michael Hindmarsh had 14 children and the extended family played many roles in Kiama’s life. 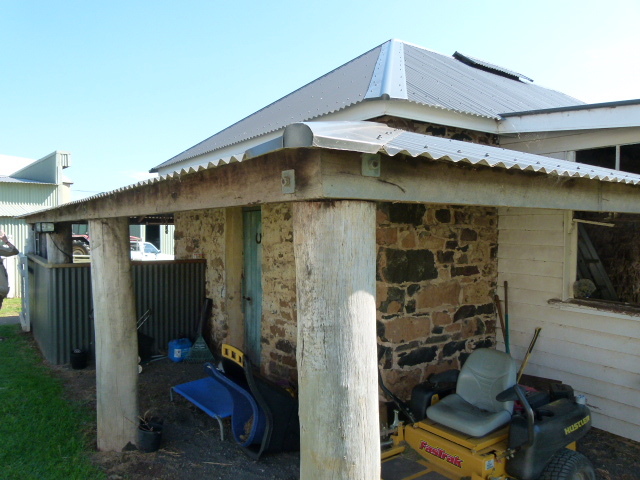 One of the first structures in Kiama was the Hindmarsh general store, which was supplied by Hindmarsh ships, and the first PostmasIer was Michael’s brother George. The sister Hannah ran a school. In addition later generations served on council, and Nesbit Hindmarsh had the Kiama Motors, and lived in ‘Rosebank’ a Hardy Wislon designed home sadly knocked down. 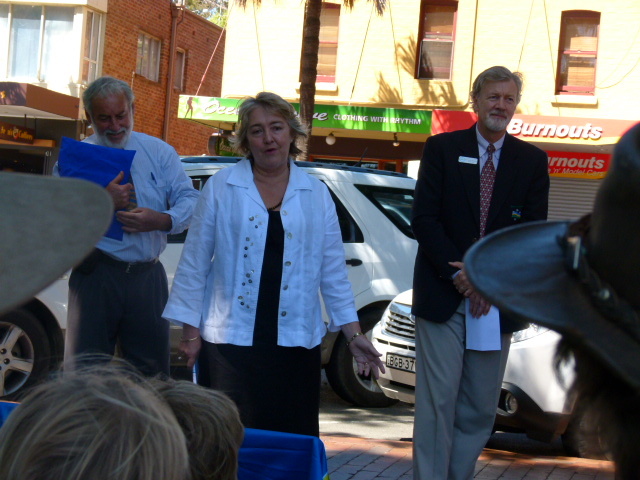 Here is Dr Michael (the Third) Hindmarsh (with blue folder) of Alne Bank who organised the event with the Kiama Mayor Sandra McCarthy and Deputy Mayor Ben van der Wijngaart, who all spoke to a crowd of the extended Hindmarsh family and the Kiama local history community of over 100. Councillor Monique Dare-Ward, of Jamberoo, who is descended from an old Kiama family herself, the Alexanders, also spoke about Hannah Hindmarsh, but is not in this photo. 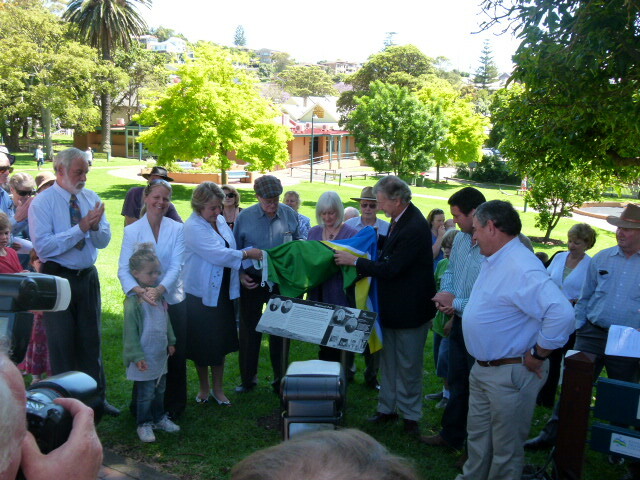 Here the plaque is being unveiled by the Mayor and other councillors, including Ben van der Wijngaart and Monique Dare-Ward, and various members of the Hindmarsh family. Here is Local Historian Fran Whalan talking about Cecilia Rutter, who married into the Hindmarsh family and her sisters married the other prominent landholders of the area, Kendalls and Chapmans. 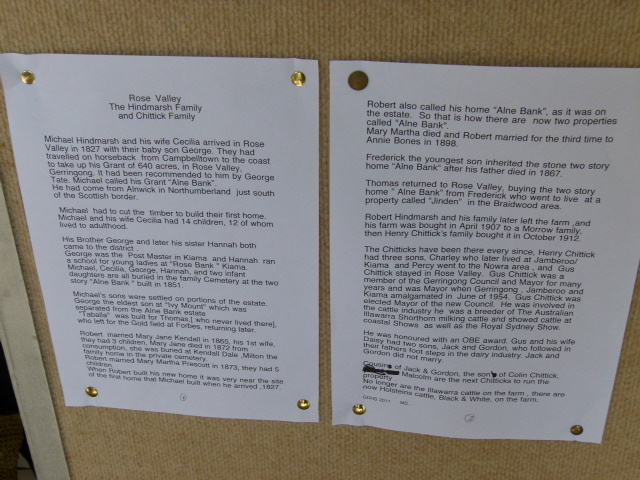 Fran did her local history degree on the Rutter sisters as her main research project. 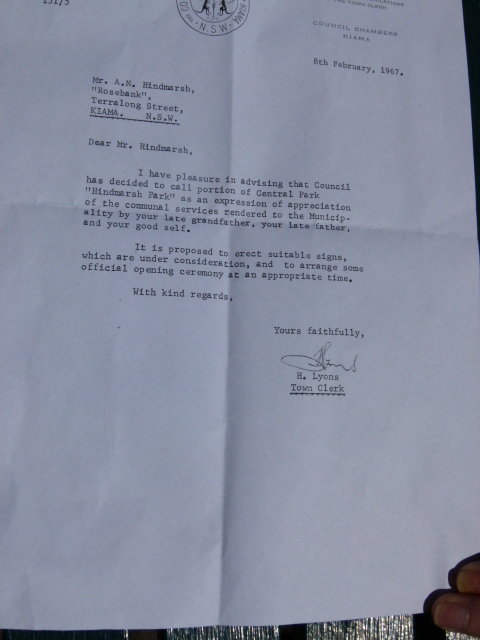 Here is a copy of the letter which only surfaced on the day, which confirmed that the name change from Central Park to Hindmarsh Park was official by Kiama Council, though I note the letter actually says ‘part of’ Central Park and not the whole park! Well picked up by the Mayor Sandra McCarthy! 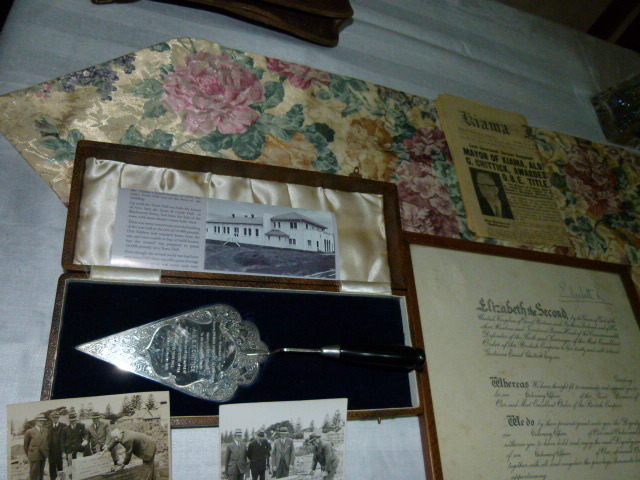 Here is the plaque itself. If you can’t find the plaque in the Park, leave a comment and I will supply a series of three clues, each more cryptic than the last to pinpoint its location. Here is the Kiama Independent article on the day. Reading the Hindmarsh family history, most of the Hindmarshes (including Michael Hindmarsh of Alne Bank) came from around Alnwick, in Northumberland, and since the two words seem Danish, I suspect they trace back to a a whole village, which had its name changed by the Norman COnquest. who became famous for his bravery at the age of 13 in a naval battle, and was a lieutenant on the Victory under Nelson. He was the son of John the Gunner of Chatham, Kent and his uncle was George, who was hung for murdering his chief mate on a slaver called the Eolus off the West Coast of Africa and was hung on the 6 Jul 1792. He was described as a pirate in the report of the day and the gibbet was set symbollically by the river and the sea. 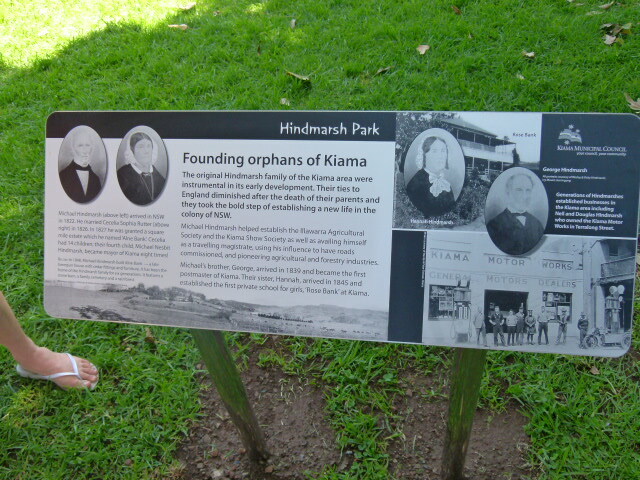 I will post more detail on the Kiama history of the Hindmarshes, firmly scuttling any rumours of buried treasure. 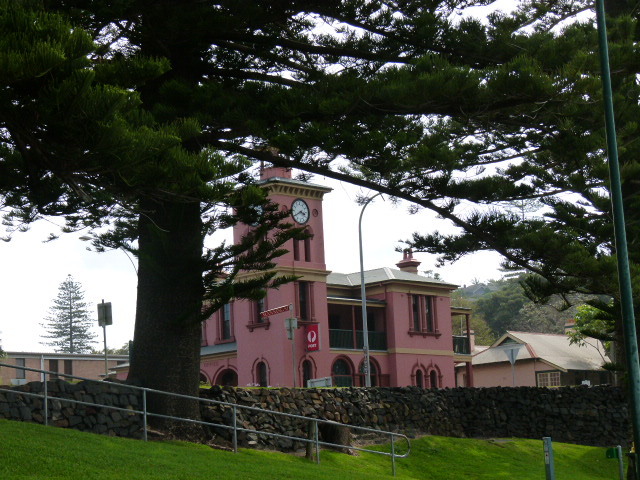 Kiama’s Pink Post Office, looking from Black Beach. It is not obvious today, but Kiama’s Black Beach ( named for the black grains of sand) was the site of Kiama’s very earliest history, with very little signs left today. 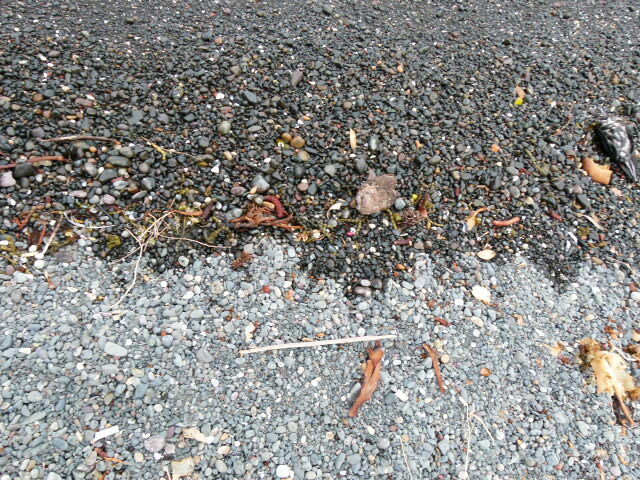 It is very clear in this photo below that the black colour comes from being wet, and the grains and pebbles are residue of basalt, possibly even from the Kiama Blowhole. 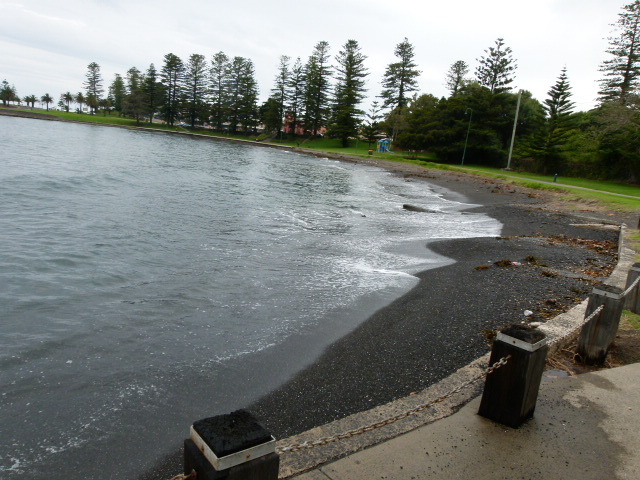 None of the other beaches in Kiama having any granules anything like these. 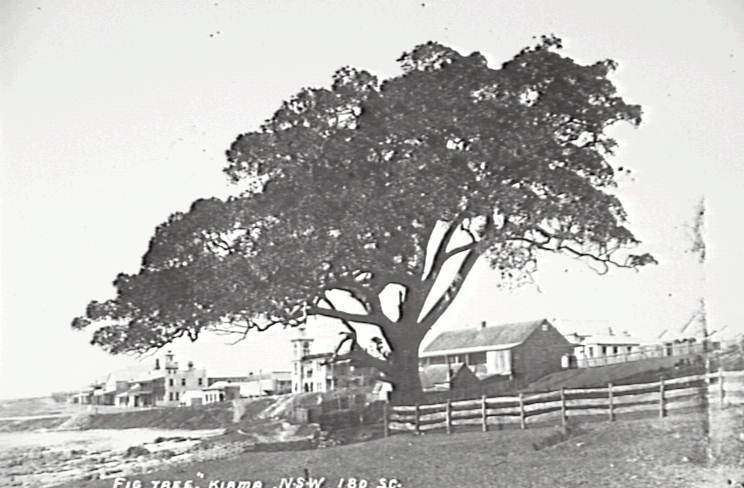 and Kiama’s first council chambers (roughly where the public toliets near the railway bridge are today). 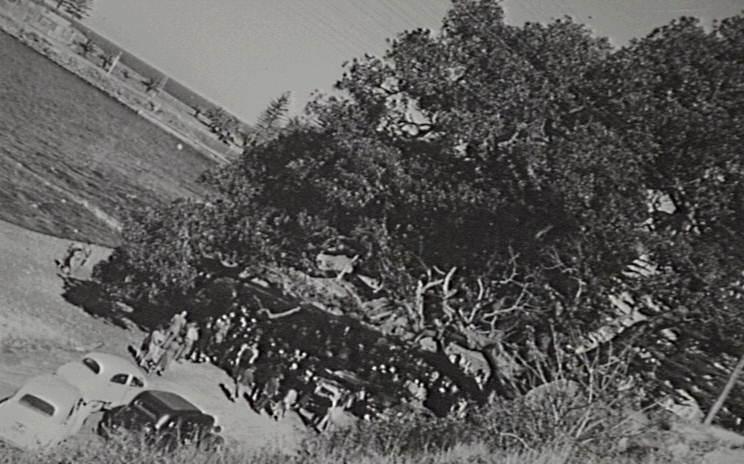 The first church service and public meetings were held under the grand old Fig Tree, sadly destroyed by lightning in the 1960s. This early photo gives a sense of its size and importance. 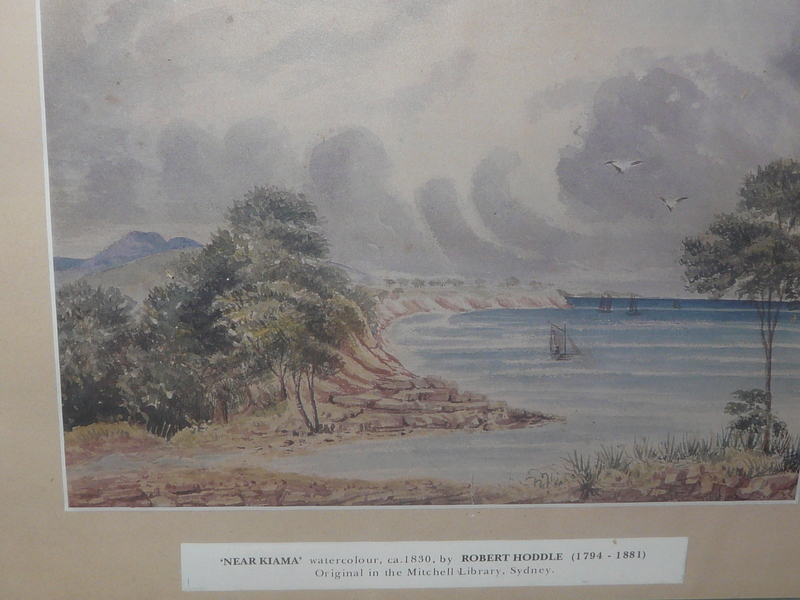 The first landings of boats were made directly onto the beach, and early paintings of Kiama show Black Beach was the primary focus of the early township. Not so today! 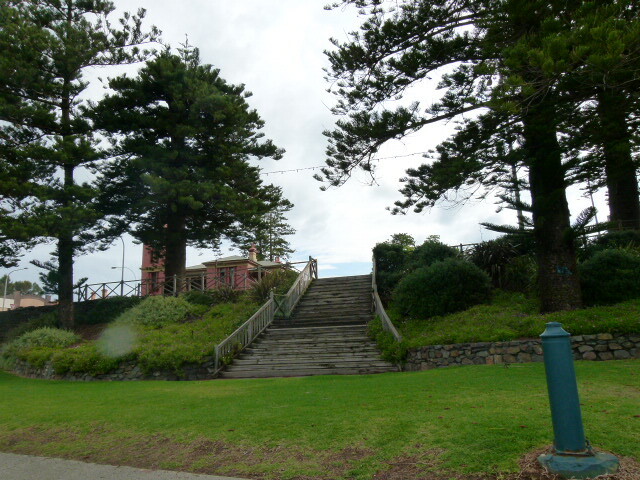 Very few pieces of architecture in Kiama predate 1850. 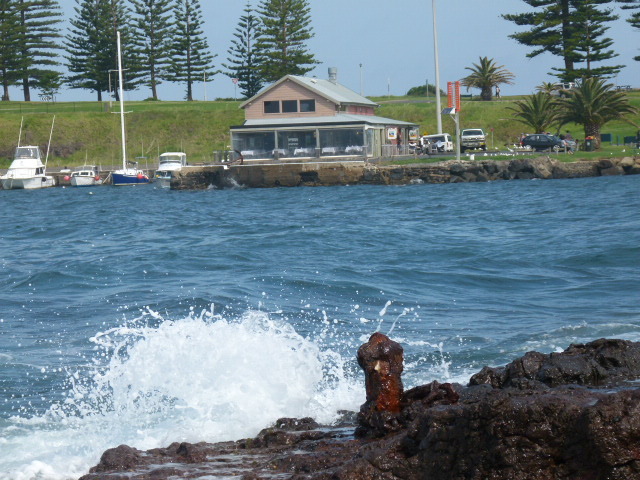 This bollard, ( one of two on the School Flat side of Black Beach) was part of the anchor chain system running across Kiama Harbour, before Robertson basin was dug out. 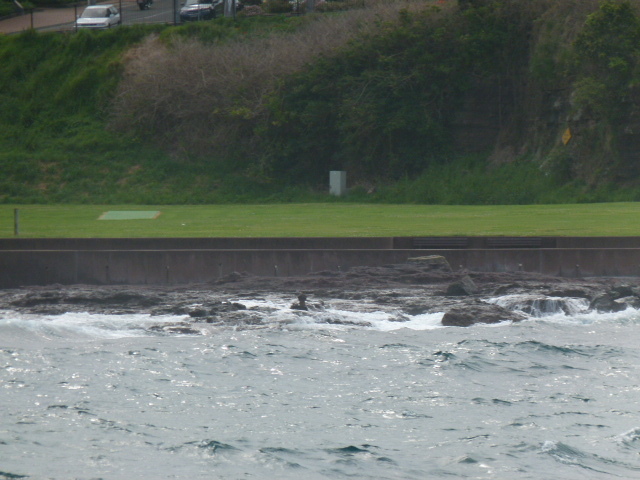 This is a shot of the same bollard from the other side of Kiama Harbour. 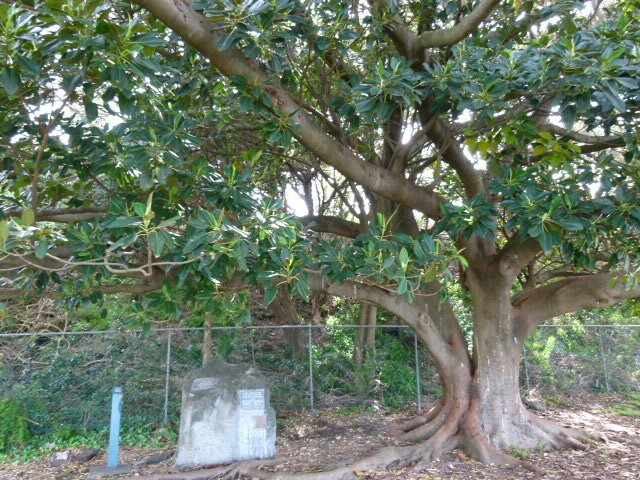 One interesting feature is the S.S. Bombo memorial plaque, under another Fig tree, roughly central to Black Beach. 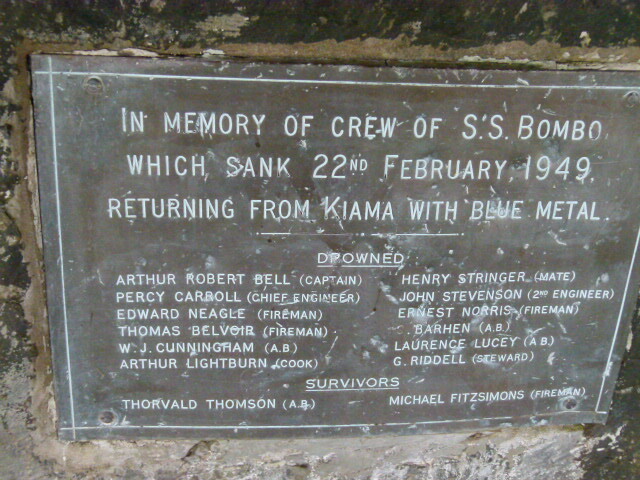 22 sailors drowned, many well-known in the Kiama area. 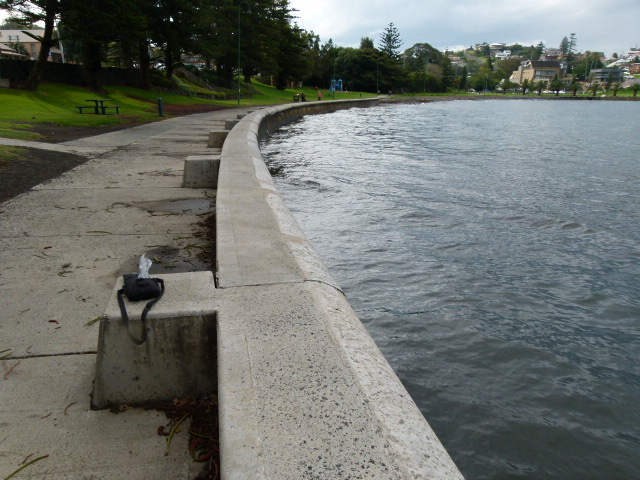 as you can see in this earlier picture, the sea was eating away at the park, and even washed up to Terralong St. I recall it was built in the 1930s, but I will confirm the date. I will add further detail on Kiama’s Black Beach’s Hidden Early History soon. This is from the MUA website. On November 15, 1938 the steamship Dalfram berthed at No. 4 jetty Port Kembla to load pig iron for Kobe, Japan. Ted Roach, Branch Secretary, addressed the men at the labour pick up for the Dalfram. He told the men of the destination of the pig iron and the obvious use the Japanese would make of it: bombs – first to be used against the Chinese and eventually against Australia. At 11 am the men walked off the ship declaring they refused to load pig iron for Japan to turn into weapons. It led to a nine week lock-out, with incredible pressure and threats applied by the government of the day, leading the Attorney General and future Prime Minister Robert Menzies from this time on being known as Pig Iron Bob. Now local film maker Sandra Pires has produced a short clip with the long term aim of making a full length doco drama on the dispute.